Imagine waking up to great views! 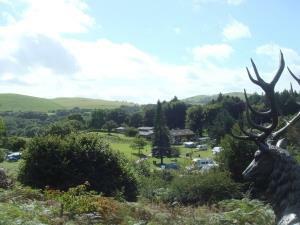 Bring your caravan, motorhome or pitch up your tent at one of Mid Wales' camping and touring parks. 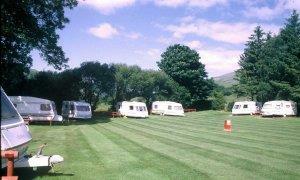 There are coast and country campsites and family run caravan parks throughout Mid Wales. 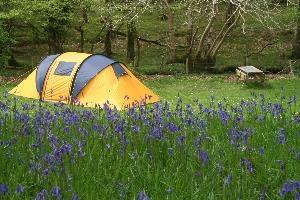 Get back to nature with all the modern amenities and facilities you'd expect to make your stay more comfortable. 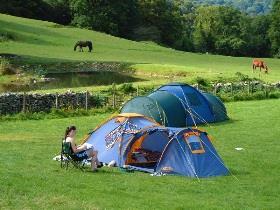 If it's camping you love, find hook-ups, toilets, showers, family rooms, washing-up sinks with hot water, and more. 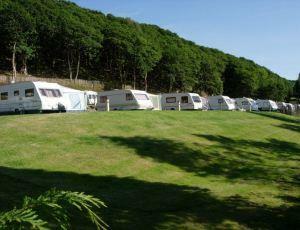 Some touring and camping sites are in private woodlands, some are short walks from the beach, beside rivers, on working farms, in secluded valleys. 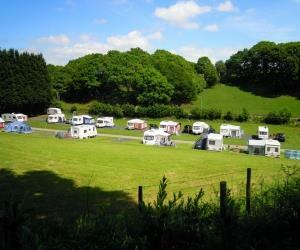 All are set amidst some of the most beautiful scenery Mid Wales has to offer. 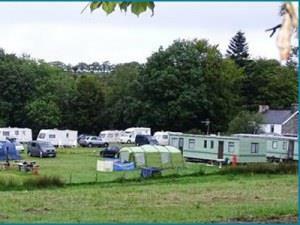 Cefn Crib Caravan Park is a small family-run park, situated on a working farm in Snowdonia National Park. 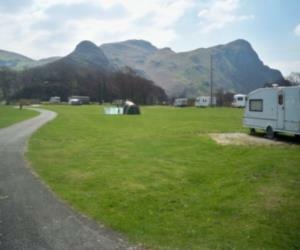 Surrounded by mountains, valleys and woodland this well maintained park offers peace and tranquility. 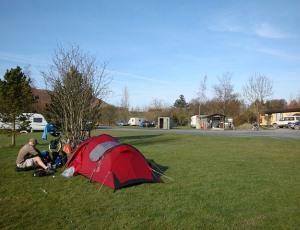 A lovely laid back secluded site on a working farm. Its perfect to get away from it all and relax. 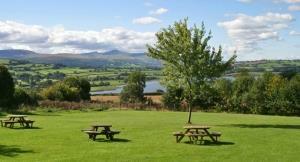 Locality - Southern Snowdonia. 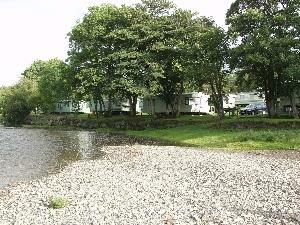 Small family-run park on working farm 4m Dolgellau, 10m sea. Beautiful farmland, mountains, valleys, woodlands. 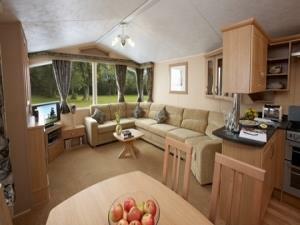 Hook-ups, toilets, showers, family room, washing-up sinks with hot water. 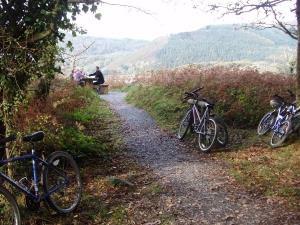 Close to Coed y Brenin Mountain Bike Centre. 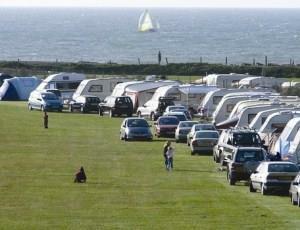 22 acres flat coastal parkland only 500 yds from town shops and harbour. 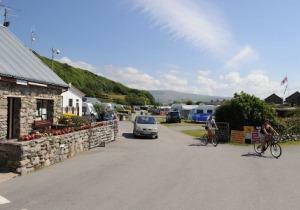 Aeron Coast is ideal for a quiet stay outside the peak holiday period. School holidays are devoted to families and entertainment for all ages is provided nightly. Tynllwyn is a small family run site with the Talyllyn Narrow Gauge Railway gently winding past and Rhydronen station only 50 yds away. A haven for bird watchers, walkers & cyclists. Good clean facilities.